Dilip Rayamajhi is one of the leading actor in Nepali movie industry. 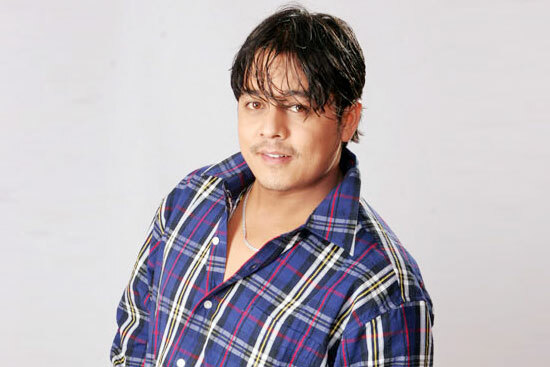 He has acted in numerous hit movies and he is quite popular among Nepali girls. Born as Dilip Rayamajhi to a medium class family in Jhakha, Kirtipur, he grew up with a large family members consisting of his grandmother, father, mother, two elder sisters, one elder brother, nephew Sunil Karki and other close cousins. His wife is named Manju; they have one daughter, Dipika. Dilip Rayamajhi is one of the leading actor in Nepali movie industry. He has acted in numerous hit movies and he is quite popular among Nepali girls. Born as Dilip Rayamajhi to a medium class family in Jhakha, Kirtipur, he grew up with a large family members consisting of his grandmother, father, mother, two elder sisters, one elder brother, nephew Sunil Karki and other close cousins. His wife is named Manju; they have one daughter, Dipika.